It's easy to have lost sight of it amongst the more contemporary series flying off to new owners today, but for me, one of the most important prizes up for grabs in the great THQ auction was the fate of the Homeworld series, which even ten years since its last release remains one of the most beloved and respected PC properties of all time. There has been movement today, though, from about the only place you can expect Homeworld movement these days: its fans. Rob Santos, the boss of a fledgling outfit known as teamPixel—which "for over 8 years [has] specialized in web design, web development, desktop software, and mobile applications," according to Santos—told us over email that his company had tried to join in on the auction for THQ's franchises, but was told that Homeworld was part of a " legacy assets bucket", and wouldn't be up for bidding until a later date. Until then, he's got a movement going called SaveHomeworld. 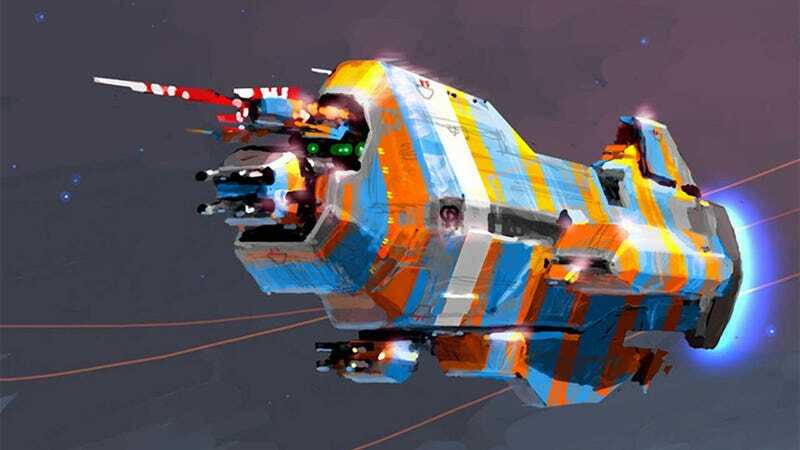 Setting up an IndieGoGo page, he says teamPixel is looking for funds to do three things: get the original Homeworld on digital retailers Steam and Good Old Games (it's not available for either), develop a touch-based version of the game for mobile platforms, and ultimately, develop Homeworld 3. Remember, though: Santos' company may not be the only ones interested. If these older series weren't up for grabs today, who's to say that when they are made available, someone like EA or Ubisoft doesn't swoop in with their millions and snap it up?